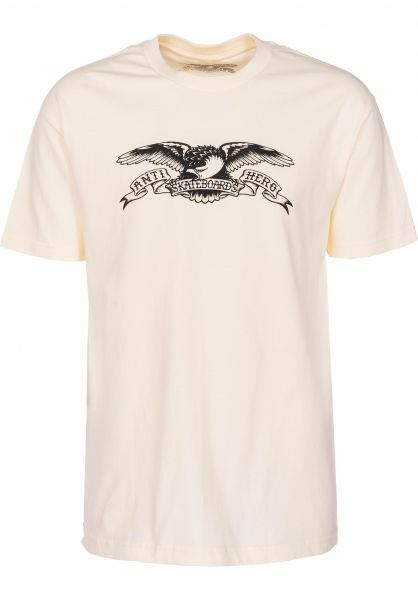 The Anti-Hero Basic Eagle T-Shirt is what some might call a "minimalist classic". Others might call it "basic", but we're not here to argue over semantics, are we? This tee has a subtle brand logo design which was originally created by Todd Francis. A soft fabric construction and a regular fit make the whole thing nice and easy to wear. Superweiche Haptik, stabiler Druck und optimale Passform. Anti-Hero punktet auf voller Ebene. Top!